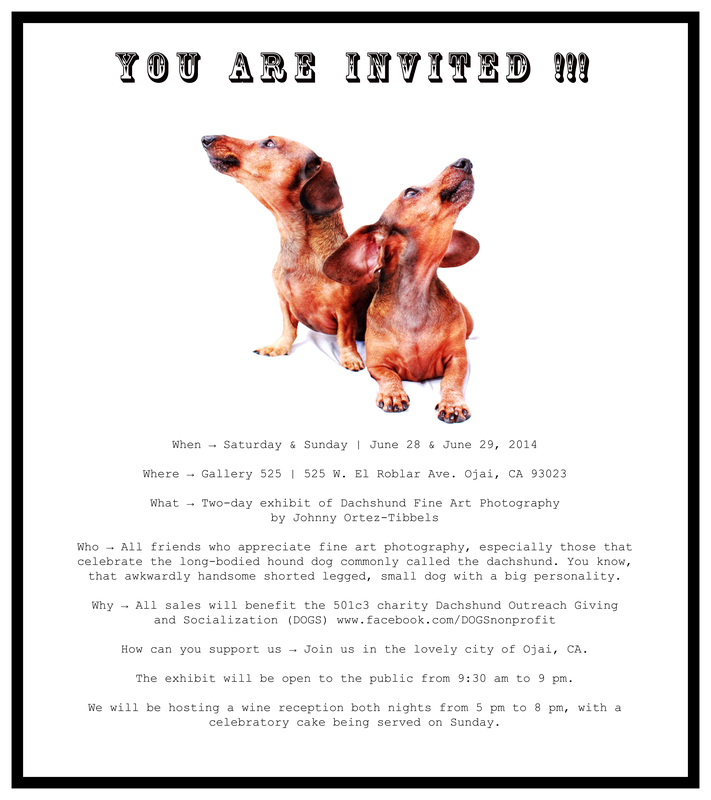 Thirty days from today we’ll host our first gallery showing of Dachshund Fine Art Photography in the lovely setting of Ojai, California. All are welcome. If you’re in the area please consider stopping by. If you’re not in the immediate area, still please consider making plans to get here. Ojai is a lovely, dog-friendly city and what better occasion to visit than attending a 2-day art exhibited dedicated to that loveable, low-riding hound of ours. Looking forward to it and hope some of you will join us. Have a wonderful day dachshund friends. 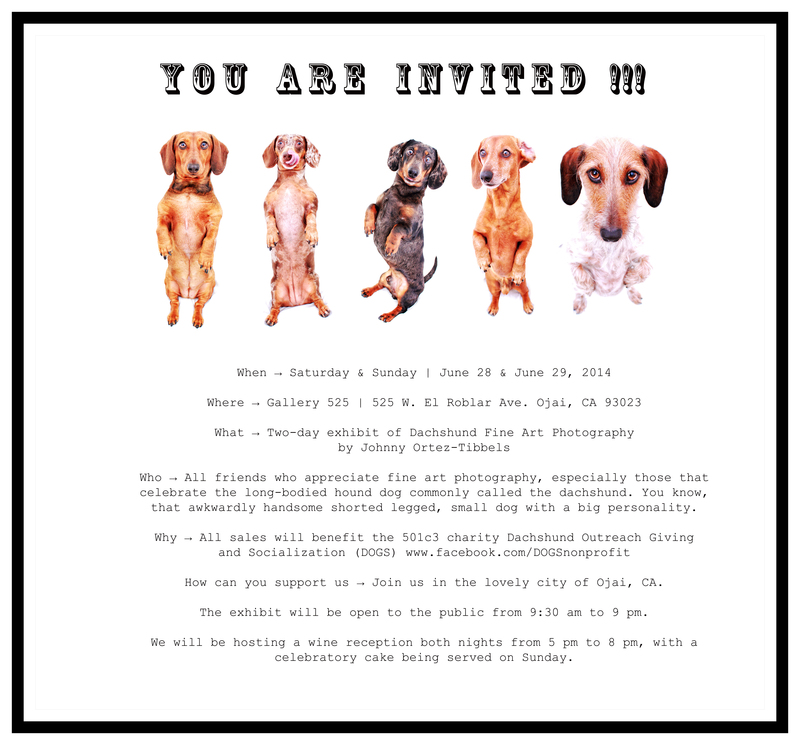 This entry was posted in 102 Dachshunds, DOGS and tagged #ADachshundsLife #HappyHounds, #charity #fundraiser, #DachshubdArtExhibit, #dachshund, #DachshundPhotography #DachshundArt #OriginalPhotography, #FineArtDachshchundPhotography, doxies. Bookmark the permalink. Very cool; good luck with you show. Would love to see this. Hope your show is a tremendous success! If it were possible for me to attend I’d be there with bells on. Unfortunately I live in Alabama & the trip just isn’t in the budget. As I’m sure you’ll be a great success, maybe I can make it to another exhibit in the future. Sending all the good wishes & best of luck! Hope the show is a success. I would be there if I could. I live Oklahoma and can’t come. Best wish and good luck.